The Power of Myth launched an extraordinary resurgence of interest in Joseph Campbell and his work. A preeminent scholar, writer, and teacher, he has had a profound influence on millions of people--including Star Wars creator George Lucas. To Campbell, mythology was the "song of the universe, the music of the spheres." With Bill Moyers, one of America's most prominent journalists, as his thoughtful and engaging interviewer, The Power of Myth touches on subjects from modern marriage to virgin births, from Jesus to John Lennon, offering a brilliant combination of intelligence and wit. This extraordinary book reveals how the themes and symbols of ancient narratives continue to bring meaning to birth, death, love, and war. From stories of the gods and goddesses of ancient Greece and Rome to traditions of Buddhism, Hinduism and Christianity, a broad array of themes are considered that together identify the universality of human experience across time and culture. 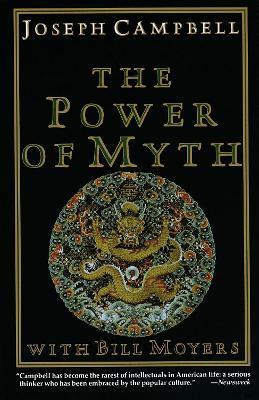 An impeccable match of interviewer and subject, a timeless distillation of Campbell's work, The Power of Myth continues to exert a profound influence on our culture. Finally available in a popularly priced, non-illustrated, smaller-format edition, which is ideal for the college market and general reader alike, this extraordinary best-seller is a brilliant evocation of the noted scholar's teachings on mythology. "The symbols of mythology and legend are all around us, embedded in the fabric of our daily lives, and the Moyers-Campbell dialogues are a welcom guide to recognizing and understanding their meanings." -- Cincinnati Post. Joseph Campbell (1904-87) began his career in 1934 as an instructor at Sarah Lawrence College, where he taught for almost forty years, and where the Joseph Campbell Chair in Comparative Mythology was established in his honor. He is the author of numerous books, including the bestselling The Hero with a Thousand Faces. Bill Moyers is an acclaimed journalist, widely respected for his work both at CBS News and at PBS. One of his primary efforts has been to bring to television outstanding thinkers of our time, most recently in the immensely popular and highly celebrated PBS series and bestselling book A World of Ideas. His conversations with Joseph Campbell were one of the highlights of television programming in the 1980s. Betty Sue Flowers teaches poetry and myth at the University of Texas at Austin. She is the author and coauthor of several books, including Browning and the Modern Tradition, Four Shields of Power, and Daughters and Fathers.